CADRaster is a hybrid raster-vector tool for drawings and scanned maps that can be used inside of AutoCAD environment. CADRaster provides tools for productive utilization of monochrome, gray-scale and color scanned drawings and other raster images in AutoCAD. 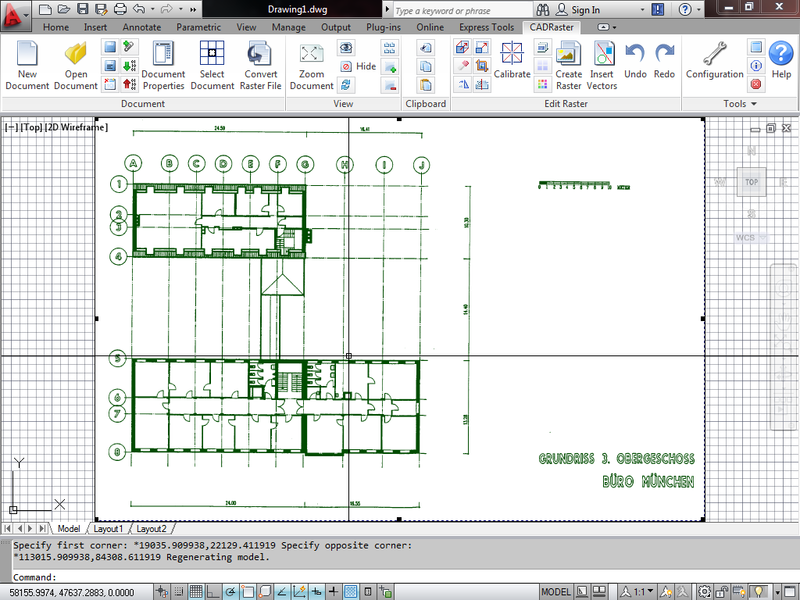 The scanned drawings and pictures are shown on the AutoCAD screen together with vector drawings and processed using tools integrated with CAD application’s commands. CADRaster provides tools for productive utilization of monochrome, gray-scale and color scanned drawings and other raster images in AutoCAD. The scanned drawings and pictures are shown on the AutoCAD screen together with vector drawings and processed using tools integrated with CAD application’s commands. Raster and vector data coexist in the AutoCAD session and are well defined in the same coordinate system, so that operations like zooming, panning and matching of raster images and vector drawings may be done easily and precisely. CADRaster can easily print composite (vector + raster) drawings in proper scale. TSL Calibrator is here to help!